New Orleans Is Back! 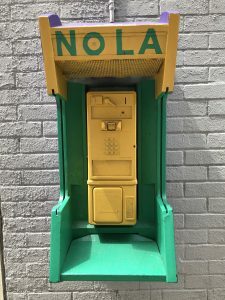 NOLA aka The Big Easy Is Waiting For You. New Orleans Is Back in a Big Easy way. Even with NCIS filming on a Tuesday Morning, the crowds didn’t flinch. Music flowed into the streets, the line at Cafe Du Monde was a hour long and the smell of fresh pralines flowed. 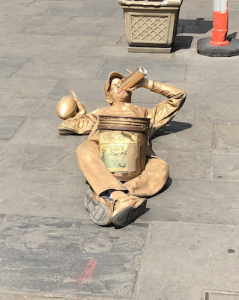 Just two years ago on spring break, New Orleans or NOLA as a few will call it was still trying to recover from it’s battering of hurricanes and flooding. You wouldn’t know it today. The streets are bustling in every direction, the convention center area is hoping and the secret to fast beignets is still well kept. What’s the Secret to getting real Cafe Du Monde Beignets without waiting an hour you ask? The trick is the outlet mall. Thankfully most of the tourists shun the outlet mall and hidden in the food court is a satellite Cafe Du Monde with no line most of the time. Yes the original still has a vibe but why not enjoy your beignets on the waterfront balcony of the outlet mall food court, grab a refill of the world famous hot chocolate or chicory coffee and then absorb the energy of the French Quarter from the steps right next to the original Cafe Du Monde? While I was out walking I ran into the crew from NCIS New Orleans. I thought about jumping in with the background actors and seeing if I could get in the shot, but it turned out they knew I didn’t belong. No one else seemed to notice they were there. 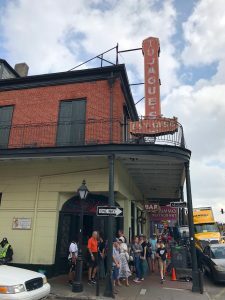 The rest of the French Quarters is vibrant and alive, you can pick your poison from cajun food to daiquiri’s spiked with ever clear to hand rolled cigars. At night the streets really come alive, just as they did before the hurricane. If you are thinking about wanting away from the beach, how about a trip along the river? New Orleans Louisiana, home of great food and great jazz almost insuring you have a great time. Next Topic: Grand Prix of Long Beach is Almost Here!